Should I become an anesthesiologist? Read this first before you decide. I’ve been practicing anesthesiology for 30 years now, in the operating rooms of major hospitals. Since 1999, I’ve worked at Cedars-Sinai Medical Center, a large tertiary care private hospital in Los Angeles. For starters, I have to laugh when I hear anesthesiology mentioned with dermatology and radiology as one of the “lifestyle” professions. Certainly there are outpatient surgery centers where the hours are predictable, and there are no nights, weekends, or holidays on duty. The downside? You’re giving sedation for lumps, bumps, and endoscopies a lot of the time, which can be tedious. You may start to lose your skills in line placement, intubation, and emergency management. Occasionally, though, if you work in an outpatient center, you’ll be asked to give anesthesia for inappropriately scheduled cases on patients who are really too high-risk to have surgery there. These patients slip through the cracks, and there they are, in your preoperative area. Canceling the case costs everyone money and makes everyone unhappy. Yet if you proceed and something goes wrong, you can’t even get your hands on a unit of blood for transfusion. To me, working in an outpatient center is like working close to a real hospital but not close enough — a mixture of boredom and potential disaster. Even though women comprised 47 percent of the US medical school graduates in 2014, only about 33 percent of the applicants for anesthesiology residency were women. I’d be interested to hear from all of you as to why fields such as pediatrics and OB-GYN tend to be so much more attractive to women, because I genuinely don’t understand it. But I do have a few thoughts as to the type of person who is happy or unhappy as an anesthesiologist. First of all, you have to like the operating room environment and be able to handle occasional emergencies. If you’re the sort of person who likes making rounds, consulting references, and deliberating in the company of a group before you make any decision, then anesthesiology isn’t the job for you. Much of what we do is routine and predictable. But when crises arise, decisions must be made rapidly and the anesthesiologist must direct the efforts of a team of nurses and technicians. I’ve known people who have double board certification in internal medicine and anesthesiology — some are among the smartest and most competent people I’ve ever met, and others never get over the wish to ponder at length before taking action. Second, you have to enjoy the company of surgeons. Many jokes are made about surgeons. “Often wrong, but never unsure” is one of the more repeatable ones. Some of the more malignant and abusive traditions of past surgical training no longer persist, so we see less arrogance. But a surgeon still needs to have a sense of confidence and a certain amount of nerve. Male or female, they often think of themselves as the captain of the ship. If you can’t deal with that sort of personality with grace and a bit of humor, you won’t be happy trying to coexist with them. Anesthesiologists need to develop the right balance of backbone and flexibility. Most of the time, I simply think of myself as the physician who’s taking care of the heart, lungs, and the rest of the patient’s needs while the surgeon takes care of the surgical problem. We each have our jobs. Third, you have to make your peace with the idea that you’re not the person that the patient will think of as his or her doctor. That will be the surgeon, or the obstetrician, or the primary care doctor. My interactions with patients are intense but short-lived. Good interpersonal skills help a great deal, as I need to make each patient comfortable with putting his or her life in my hands after just a few minutes of acquaintance. Odds are, though, that the patient won’t remember much about our interaction. My work in the operating room becomes quite technical after the moment that the patient loses consciousness, which you might see as a disadvantage. On the other hand, I seldom need to be the person who delivers the diagnosis of cancer or other terrible news to patients and families. Anesthesiologists who specialize in obstetric anesthesia or regional techniques spend more of their time with awake patients, while intensive care specialists and chronic pain specialists often see patients repeatedly over a lengthy course of treatment. That’s a choice you make at the fellowship level. How to decide on a specialty? For me, the big decision point in medical school was whether to go into internal medicine and do a pulmonary fellowship, or go into anesthesiology instead. The fact that I genuinely enjoyed being in the operating room was the critical factor. When I give a medication through the patient’s IV, it takes effect quickly, and I don’t have to wait until the next visit to the clinic to find out if it worked. I like managing airways and putting needles in blood vessels, and I enjoy being in the anesthesia “cockpit,” navigating a patient’s course through induction, maintenance, and emergence. I’m fortunate to work with outstanding teams of surgeons, nurses, and technicians. We get to know each other well over time, and there’s a comfortable sort of family cohesiveness to the OR community. I have the pleasure of focusing on one patient and one procedure at a time, without the constant pressure of an office appointment schedule. There are some dark clouds on the horizon for anesthesiology, though. My group practices in a physician-only model, more common on the West Coast, where one anesthesiologist stays personally with each patient for the entire procedure. That model probably won’t be financially sustainable over time. Just as nurse practitioners are clamoring for independent practice, nurse anesthetists claim that they can give anesthesia just as well and more cheaply than I can. It’s likely that more and more anesthesiology practices will move to a care team model, where anesthesiologists supervise nurse anesthetists and anesthesiologist assistants. Some hospitals, where states allow it, already allow nurse anesthetists to practice with no anesthesiologist supervision at all. Be prepared for downward pressure on payment rates if these trends continue. 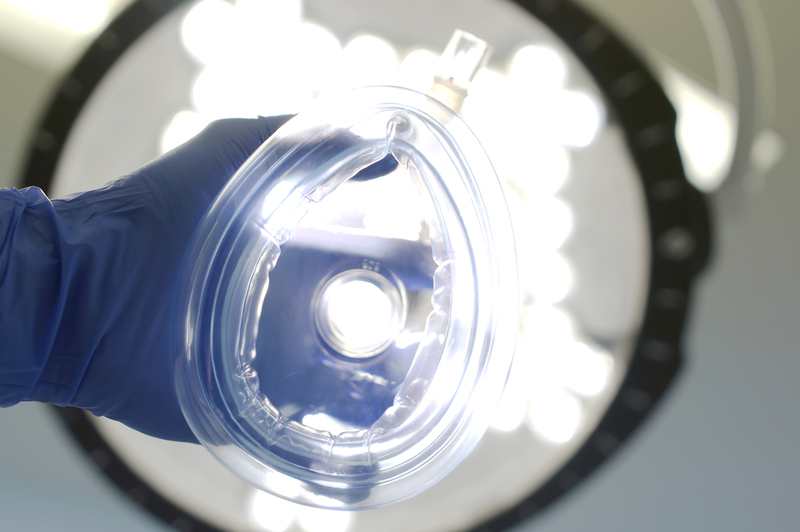 Many anesthesiologists are expanding their footprint outside the operating room and becoming more involved with patient care before and after surgery. Others are active in operating room and hospital leadership, and are going back to school for MBA or MHA degrees. You may want to take a look at information about the expanding role of anesthesiologists in the perioperative surgical home initiative, led by the American Society of Anesthesiologists. Don’t try to pick your field too soon. Keep an open mind, because you won’t really have any idea what you’ll find most interesting until you make your way through clinical rotations. Don’t waste too much time thinking about money or lifestyle. No lifestyle is pleasant enough if you still have to spend your days doing work you don’t enjoy. Frankly, if you wanted to get rich, you should have gone into investment banking. If you don’t like medicine now, you’ll never like it. Quit before you start a residency, and do something you want to do, not what you thought would make your parents happy. If you’re like my husband and me, and being a doctor is the only job you ever wanted, be thankful! It’s a great and honorable profession, and one of the few where maturity and experience are valued. I feel at the peak of my game these days, while in Silicon Valley or pro sports they’re past their prime at 35. It’s an honor and a privilege to take care of another human being. Always remember that, whatever field you pursue, and please accept all my best wishes for success in your future endeavors. Karen S. Sibert is an anesthesiologist who blogs at A Penned Point. This article originally appeared in in-Training. < Previous post Are preoperative consultations worthless?